Established in the year 1991, We United Packaging System Pvt. 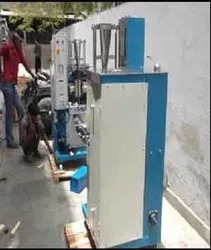 Ltd is the distinguished manufacturer and exporter of Sachet Packing Machines which includes, Pills Packing Machine, Pouch Packing Machines, Peanuts Packing Machines, Noodle Packing Machines, Powder Filling Machines, Powder Filling and Sealing Machines, Milk Powder Packing Machines, Biscuit Packing Machines, Bhujia Packing Machines etc. These machines are widely used in food and beverages, snack foods, pharmaceuticals, pesticides, rice & pulses, tobacco, confectionery, cosmetics, automotive sector, hardware industries etc. Backed by highly qualified and experienced team of professionals, we have been-been able to serve our customers in the best possible manner. They are well-versed to comprehend clients specific requirements and develop the machines as per the details provided by our customers.We are offering Packing Machine Maintenance Service to our clients. We make use of advanced technology based machines to fabricate our range at par with the set industry standards. This helps us to offer defect free and optimum quality products, which are used for packaging various products in pouches of shapes, sizes, and configuration. We have won the trust of our valued clients spread across various parts of the globe by offering unmatched quality machines at most competitive prices along with excellent after sales services like installation, commissioning, and troubleshooting. Unitek Machines provide the most efficient and economical solution to packaging: Tea, salt, pepper, nankeen, snacks, cereals, coffee, pulses, rice, spices, seeds, pesticides, lubricants, pickles, shampoo, hair oil, fabricated oil, edible oil, tobacco, pan masala etc. Unitek Machines are designed with technical perfection and rugged construction so as meet our client requirement exactly both now and years to come. Unitek a professionally managed organization very well supported by the state of the art of manufacturing unit equipped with all requisite facilities with the use of cutting-edge technology, we ensure to develop our entire ranger in compliance with the international quality standards. Our professionals are working in close association with each other to complete the ordered consignments and delivering the same within the given time frame. Strategically located in New Delhi, India, we have set-up a sophisticated infrastructure, which is spread across a sprawling plot area. The unit is very well segregated into various departments such as manufacturing unit, quality management department, R&D unit to streamline the entire production process. 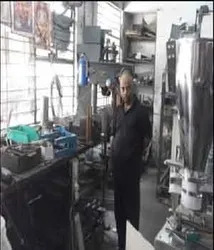 Our manufacturing unit is facilitated with advanced machines and equipment, that help us to fabricated our range of Packaging Machines at par with the international quality standards. The use of such hi-tech enables us to speed up the manufacturing process and helps us to meet the specific requirements of our customers within the stipulated time frame. The efficient team that we have is an imperative part of our organization that is responsible for carrying our entire business activities in a streamlined manner. They research, analyze and then develop our technologically advanced range of Packaging Machines at par with the set industry standards. They are also experienced and well-versed to provide customization facility and offer machines as per our client's packaging requirements. It is due to their untiring efforts towards providing excellent after sales support and enhance the functionality of the installed machines. Apart from this, we also conduct regular training and provide updates on the market to make our professionals highly competitive in their respective domain of work. Edible Oil, Hair Oil & Lubricant Oil.